If you still can’t decide between the ultra-affordable Moto G6 and Moto X4, you may want to consider the freshly discounted Moto Z2 Play as well. Originally released just a few months ahead of the X4, this respectable mid-range 5.5-incher is available for a whopping $240 off its list price right now for new and existing Verizon subscribers from Best Buy. That means you can pay a measly $6.99 a month for two years with the carrier’s convenient installment plans or cough up the full $167.99 (down from $408) upfront. Either way, your only color option is lunar gray and you’ll be getting a decent albeit not impressive combination of 3GB RAM and 32 gigs of internal storage space. 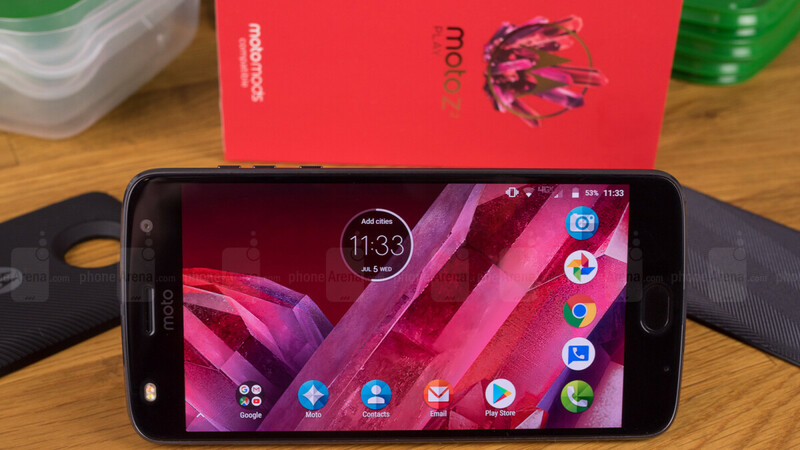 While this obviously doesn’t compare to that incredible Moto Z2 Force bargain exclusively available for AT&T customers a while back, it is nevertheless the cheapest way to get support for the company’s functionality-adding Moto Mods today. We’re talking both modular accessories released prior to the Moto Z2 Play and after it, apart from the Moto Z3-exclusive 5G-enabling mod (duh). Even by itself, this Snapdragon 626-powered 5.5-incher is a lot of phone for a humble 168 bucks, with a premium build combo of glass and aluminum, a razor-thin 6 mm profile, a headphone jack (yas! ), a fast-charging battery said to last a remarkable 30 hours without forcing you to hug a wall, and a sharp Super AMOLED display. You only get the one rear-facing and one front-facing camera, as well as an outdated 16:9 aspect ratio with chunky screen bezels, but the front-mounted fingerprint reader is arguably a better choice than the side-mounted sensor of 2018’s Z3 Play, and yes, Android 9.0 Pie software is in the pipeline.